Small elegance corals have a 1"-2" skeleton which is deceptively small given how large their fleshy portion extends. It is fairly common to have a 3"-4" inch polyp originating from a skeleton this size. Catalaphyllia jardinei are commonly known in the reef aquarium hobby as Elegance Coral. 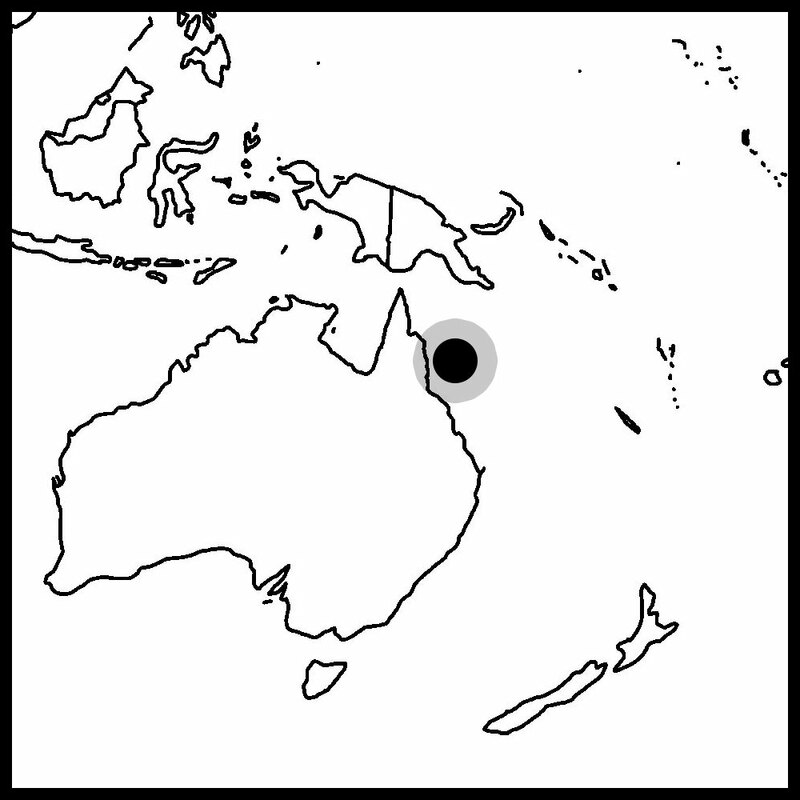 They are found throughout the Pacific however we have had the best success with the specimens from Australia. For this reason, we carry exclusively Aussie Elegances. As a side note, Elegances happen to be one of the corals that got me into the hobby into the first place. People often ask what is my favorite coral, and I can never pick out just one, however the Elegance Coral is always on my short list. Please see below for additional care tips for Elegance Coral as well as checking out our Top 5 Tips for setting up a reef. Catalaphyllia commonly known as Elegance Corals are found all over reefs in the Pacific. They are harvested from the Islands of the Indopacific including Fiji, Tonga, Solomon Islands, and the Great Barrier Reef. All of the Elegance Coral specimens here at Tidal Gardens are exclusively from Australia. Elegance corals are some of the most beautiful corals available to this hobby. I have met reef keepers that decided to enter this hobby to own this coral alone. Catalaphyllia 's color has an iridescent quality and its tentacles sway gently in the water column. Several years ago, this coral was an ideal beginner's coral. It required moderate but affordable lighting, readily accepted feeding, and was hardy beyond compare. I remember a particular Catalaphyllia I owned that accidentally got caught in the suction of a powerhead. The very next day it was fully extended and looked no worse for wear. For whatever reason, Catalaphyllia that are being imported today from Indonesia are just the opposite. They are extremely sensitive, and are susceptible to infection. It is as though what is being harvested today is a completely different animal. For years we stopped purchasing Elegance corals. Low to Medium lighting would serve this species well. Catalaphyllia may require a longer acclimation period to intense lighting such as metal halides. Elegance corals have very consistent coloration that does not seem to change much with variations in lighting. As for flow, we have kept elegances under a variety of flow conditions ranging from very little movement to almost crashing waves. Elegance corals appear to be less affected by their flow conditions however stronger flow was beneficial in bringing more food to the coral's tentacles. Like most coral in the reef aquarium hobby these days, Catalaphyllia are photosynthetic. In our experience however, they also benefit from direct feeding. There are a variety of frozen fish foods available that make outstanding meals for Catalaphyllia. We like to feed a mixture of meaty foods such as shrimp, fish, and squid. As a side note, this coral is an adept assassin of snails. Be forewarned, if you like snails in your tank, this LPS may completely remove them from the equation. We feel at this time, Catalaphyllia is not a good candidate for aquaculture. It is possible to cut them with a band saw however this is risky as you may lose one or both halves. Another technique is to grow the colony to a very large size and wait for buds to appear at the base. Once the buds get larger, they can be removed and remounted. This may be the better technique, but it does not happen quickly.